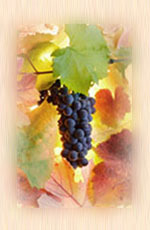 If you have not already joined the Sonoma County Association of Retired Employees (SCARE), we invite you to do so now. SCARE is a nonprofit organization whose only purpose is to promote and protect the welfare and interests of Sonoma County retirees. SCARE seeks to improve the quality of your retirement by keeping you informed and by taking appropriate action to advance your interests on matters such as health and other insurance options; local, state and federal program changes affecting retirees; and pension issues. SCARE membership brings you pertinent information and an opportunity to network with others on these and other topics affecting your well-being and the enjoyment of your retirement. Membership in CARA (California Alliance for Retired Americans) which represents retirees in California and nationally. SCARE funds four scholarships each year; two each for SRJC and SSU students who are children or grandchildren of Sonoma County employees or retirees who are members of SCERA. We hope you will join us as we are stronger with more members. SCARE dues are $5 per month for retirees and $2.50 per month for associate members (spouses, domestic partners, and widows/widowers of retirees). Dues are taken out of your SCERA pension. All members of the SCARE Board of Directors are volunteers and receive no compensation. Your dues are strictly used to cover actual out-of-pocket costs to promote and protect your retirement interests and report back to you.